Mega Man Legacy Collection 2 version 1.0.0.1 is available now on PC and PS4. 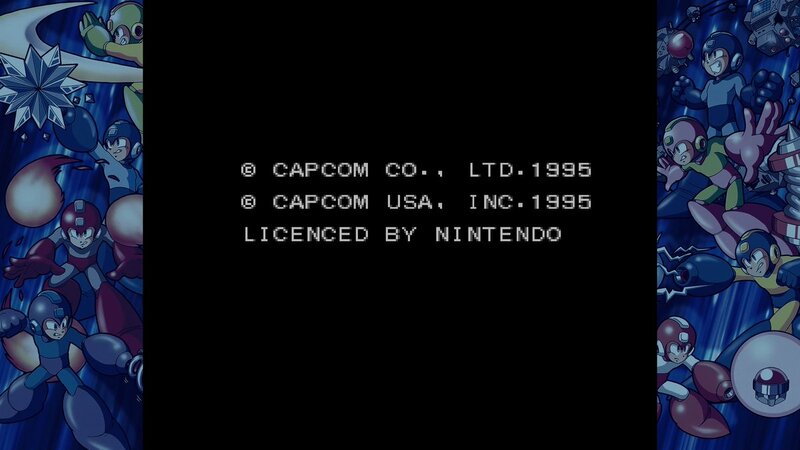 Although no official notes were included with the 1.3GB patch, players did notice the "Licenced by Nintendo" line is no longer attached to Mega Man 7's copyright notices. UPDATE: Mega Man 9 and Mega Man 10's music is not fixed. BGM is still quiet and, in some instances, there's no sound at all (PC version). Other than that, the patch appears to be more or less targeted at minor bug fixes. If you happen to notice anything else, shoot me a message. Thanks to OKeijiDragon, MechaGS and BFeely for the info. That is not going to be patched, is a copyright issue. That's probably a licensing issue more than anything else, so they took it out without renewing. They could at least switch the logo back to Rockman 8 in the opening animation. I understand that the original JP theme isn't in the game, but that doesn't mean they can't do anything about the logo. Still no Switch version ? By Mega Man 10's audio hiccups, you mean the entire soundtrack? 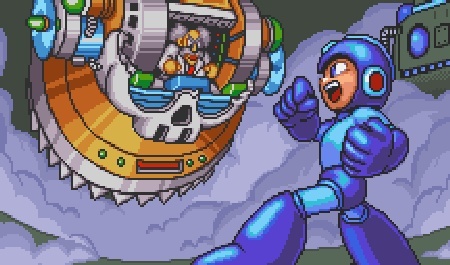 lol..
What was wrong with mega man 10? Nope, still not fixed on PS4. The sounds issues of MM9 don't seem fixed though. The volume of the music is just as low, and some sounds still cancel each others when they shouldn't. What's wrong with MM9-10's music? I didn't really notice any issues during my playthroughs. Sometimes the volume lowers on its own and SFX get cancelled out by each other. From what I've been told, it's more common in the PC version. Did they fix the MM8 audio error? Add Megaman & Bass (SNES) as an unlockable or something in an update. Is there any channel they're actually responding to users' questions and comments? The steam forum for this game doesn't seem to be getting any attention from Capcom staff besides a FAQ that's been untouched since launch day. I hope they fix the sound issues on Mega Man 9 and 10, but so far there doesn't seem to be any indication that they're even aware of the problem. Sadly there doesn't seem to be any specific place. You can try tweeting to the Capcom Unity and Mega Man accounts. For me, Mega Man 9 only plays sound through one speaker. I have 5.1. 7 and * have zero issues, I haven't played 10 yet, as I am currently playing through Protoman mode in MM9. To fix missing sound just update Windows. Updated Win7 x64 with wsus offline (cos native win updater hangs) and it's worked. Can't say what exact update fixed problem, just install all avaliable. It's probably a dumb question but: how do I access the extra stages for MM9 / MM10 on the PC version? I cleared both games once and unlocked Proto Man / Bass but I can't find the option to play the extra stages, save for playing the bosses as challenges. Are they supposed to appear in a new ingame menu, in the "legacy challenge" menus...? In the Collection menu go to challenges and pick MM9 or 10, Endless Attack and Time Attack should be there. The special stages are under Time Attack.